We're already at Thursday. I don't know about you, but my week's going by quickly. Obviously, that's not a complaint. Sure, I've been busy with proofing and writing stuff, but that's how the days go, anyway. But I'm always looking forward to the weekend, as you well know. Probably going to do some board gaming on Saturday, but we'll see. In the meantime, we've gotta get your gaming tables looking good. 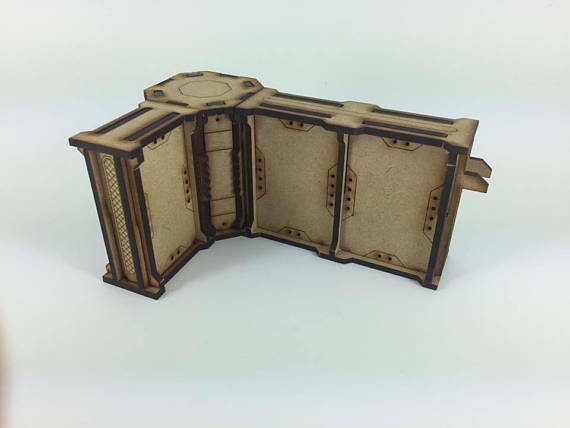 Today in the Terrain Corner we have: Up-sized Bunny Kingdom Boards Available from iello, New Mechanicum Stairs Available From Tabletop Scenics, and New Necromunda Terrain Available From Tyr Terrain.